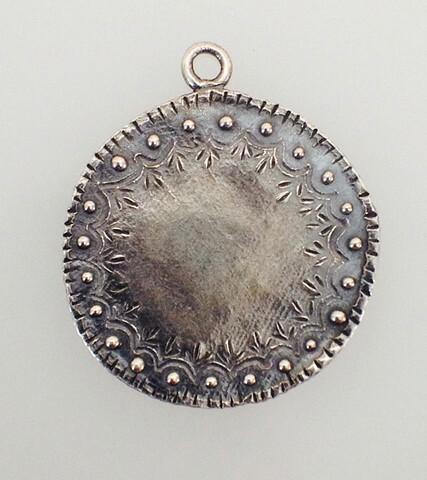 A sterling and red stone Love Token. This piece can be hand engraved with initials or imagery for an additional cost. Please see sample with initials.